Today’s fashion industry is fast phased. Sometimes keeping up with trends each season can be difficult for guys. Here we will be discussing the key trends and style that Designers had to offer on the catwalk for Spring 2018. We will also be giving out some insights and letting lads know where they can find inspiration to pull off the looks, by including fashion on the High Street at a fraction of the price. The classic and powerful pinstripe suit has made it’s comeback this season. The Designer ‘Versace’ is one of the biggest lovers of this dominant yet simple black and white design for the upcoming Spring Season. Below on the left we can get a taste of what to expect, a pinstripe suit complete with a striking red jumper underneath. Most High street stores such as Zara are following in Versace’s footsteps and creating their own twist on the super stylish trend. Above on the right, we see the classic pinstripe suit in action with a simple crisp white shirt to showcase the look. I predict the popularity of this trend is perfect for the Spring Season, just on the dawn of wedding season. Pinstripe will be huge! 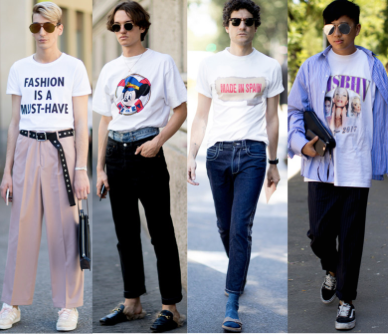 The Statement T-shirt trend has made an appearance in most designer spring collections. Many fashion savants are predicting that it is going to be a huge part of many men’s wardrobe for Spring 2018. There has been a massive emphasis on tees with bold colours and writing this season. The ‘classic’ stripe T-shirt is also big this season and available in many different colours with emphasises on pink. 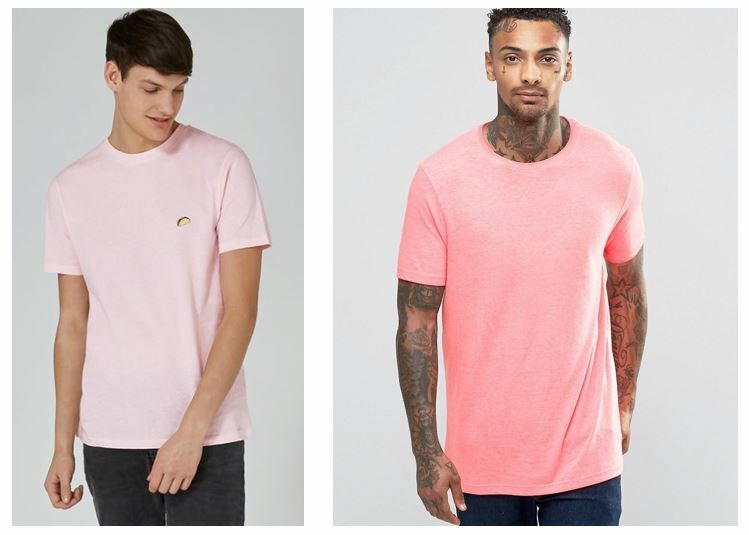 High Street brands such as Topman have nailed this trend by providing a variety of bold and bright t-shirts for this Spring. From researching and looking through the variety of Fashion Collections for men, we noticed that absolutely everyone has used the colour pink in their clothing. Pink is one of the Biggest colours for this season, which is perfect because Spring is the time of year where bright and bold colours are accepted in the fashion world. Zayn Malik was also pictured wearing a pink tweed suit from the Grammys which is right on trend. A Pink suit is a loud statement but it is good to play around with Fashion and get a sense for daring fashion trends. Although if you aren’t brave enough like Zayn to wear a ‘Pink suit’ why not start off small by incorporating into your wardrobe through wearing a casual t-shirt or light pink shirt. Topman have lots of great options available like the casual tees seen below. In Men’s Fashion, Pink is really the colour of the season. Go for it and stand out! 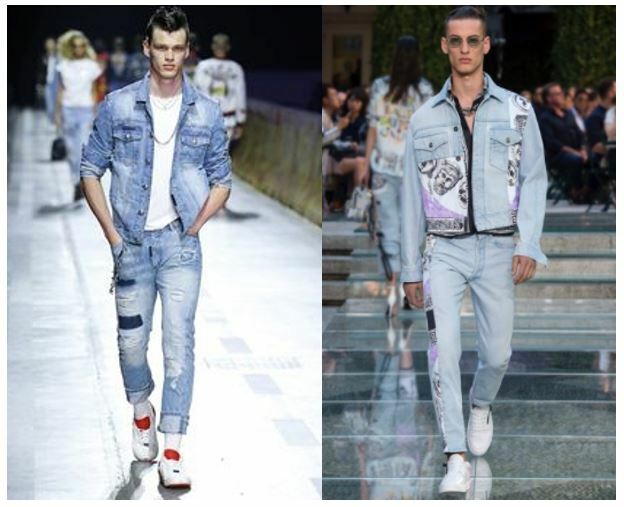 The Denim trend is timeless and has been all over every catwalk for Spring Season 2018. 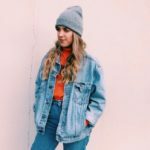 Double denim is one of the biggest fashion statements this spring with oversized and baggy denim jackets making a popular return to give that 80’s/90’s vibe to your wardrobe. Below we can see some examples of the ‘High End’ Denim collection for Spring 2018. 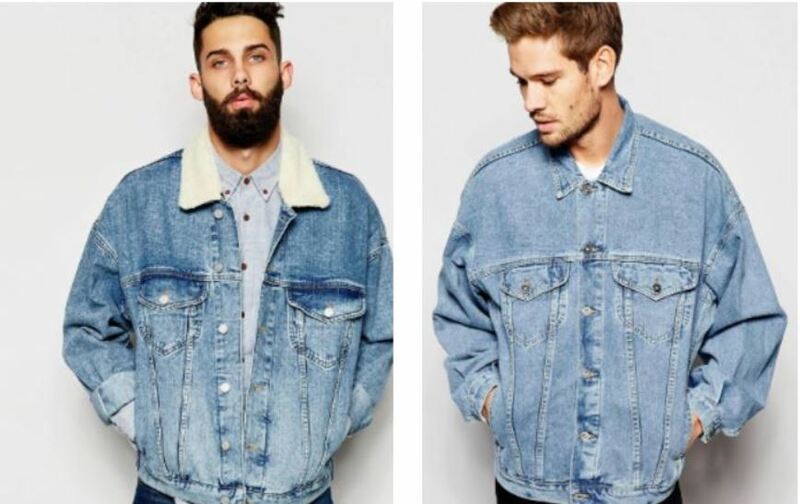 ASOS is the perfect place to satisfy your denim needs this season. They have such a wide collection to chose from with a variety of denim washes and designs. 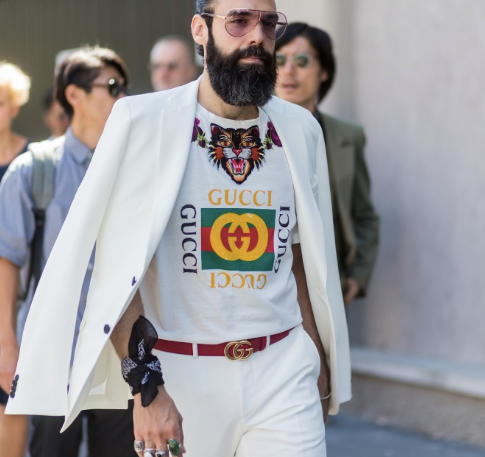 Personally, this is my favourite trend from any men’s collection I have seen for Spring 2018. A denim jacket can look extremely cool teamed with a ‘Statement T-shirt’ which is also a big trend this season, look stylish while rocking two of the biggest trends of the season. 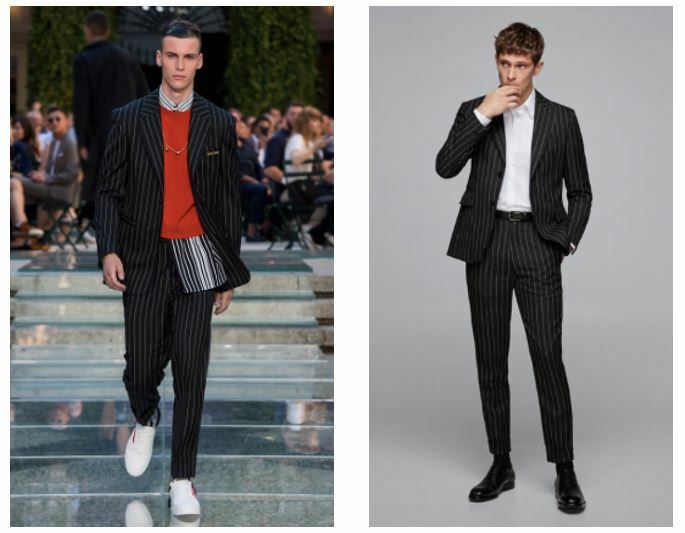 So they are the main trends from Men’s Fashion Collections in Spring 2018, our favourite trends are definitely the Pinstripe suit and Denim. Hopefully after reading, you have been inspired to switch up your wardrobe and stand out from the usual crowd in terms of Fashion. Why not? Find a trend that you feel comfortable rocking and you can conquer anything in the world! Obsessed with all things fashion and music. I have a huge interest in reading and writing for my blog ‘fashion follows’ on a weekly basis. I also like to keep up with all the latest happenings in celebrity culture and fashion news.